Life Saving Part 2 - Esther M. Sternberg, M.D. After my talk, we sat around the table, as I caught up on dinner. 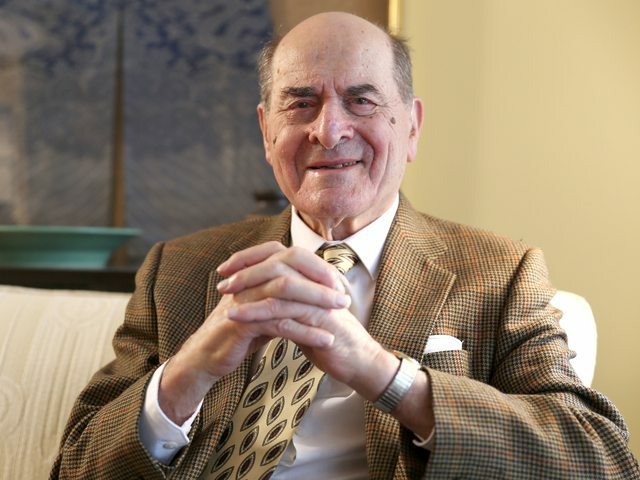 I recounted the time in the mid-nineties when I had met Dr. Heimlich at a reception on Capitol Hill. When my host pointed him out to me at the reception, and asked if I wanted to meet him, I had responded “But I thought he was dead.” She said “No. He’s standing over there drinking a martini. Want me to introduce you?” I said of course. We walked over to a tall, elegant man, I estimated then in his late 70’s or 80’s. I asked him if he was really THE Dr. Heimlich. He said yes. Then I asked him how he had figured it out. He then proceeded to tell me about the years of animal studies he had done as a cardiovascular thoracic surgeon, which led him to figure out the best way to dislodge an object from a choking person’s windpipe. He told me that, more meaningful to him than knowing the tens of thousands of lives that the maneuver had saved, was hearing the individual stories of individual people who had used it to save a loved one. I told him that I had used it on my daughter when she was three years old, when she was choking on a bit of carrot. That was the last time I had done the Heimlich on a real person, until last week when I used it again on my dear friend. How odd that performing a maneuver developed through years of painstaking research, could have brought about in me that ethereal sense of calm. On the one hand, I could explain it by the principles of the stress response. Because of my years of training, my stress response immediately kicked in and gave me the energy to focus my attention and get the job done. My host at the speaking event said as much to me when he observed: “You were like a Labrador – you just shot straight over” and performed the Heimlich. That was my stress response working for me. What about the sense of calm that set in? That was my “relaxation response” kicking in, to counter the stress response and shut it off when it was no longer needed. But I can’t help feeling that it was something more – something or someone watching over both my dear friend and me. We both felt it in the moment: a light, an energy, pouring in from above. I hadn’t heard. At some level I wonder if maybe Dr. Heimlich knows that I have used his maneuver once again to save a loved one. © 2019 Esther M. Sternberg, M.D.